Recently I worked on some research with colleagues at Boston University (Manuel Egele, William Koch) and University College London (Gianluca Stringhini) into defeating ransomware. The fruit of our labor, PayBreak published this year in ACM ASIACCS, is a novel proactive system against ransomware. It happens to work against the new global ransomware threat, WannaCry. WannaCry is infecting more than 230,000 computers in 150 countries demanding ransom payments in exchange for access to precious files. This attack has been cited as being unprecidented, and the largest to date. Luckily, our research works against it. PayBreak works by storing all the cryptographic material used during a ransomware attack. Modern ransomware uses what’s called a “hybrid cryptosystem”, meaning each ransomed file is encrypted using a different key, and each of those keys are then encrypted using another private key held by the ransomware authors. When ransomware attacks, PayBreak records the cryptographic keys used to encrypt each file, and securely stores them. 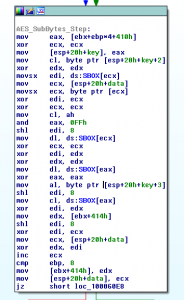 When recovery is necessary, the victim retrieves the ransom keys, and iteratively decrypts each file. At this point, I think I’ve reverse engineered and researched something like 30 ransomware families, from over 1000 samples. Wannacry isn’t really much different than every other ransomware family. Those include other infamous families like Locky, CryptoWall, CryptoLocker, and TeslaLocker. They all pretty much work the same way, including Wannacry. Actually, this comic sums up the ransom process the best I’ve seen. Every successful family today encrypts each file for ransom with a new unique “session” key, and encrypts each session key with a “private” ransom key. Those session keys are generated on the host machine. This is where PayBreak shims the generation, and usage of those keys, and saves them. Meaning, the encryption of those session keys by the ransomware’s private key is pointless, and defeated. The PayBreak system doesn’t rely on any specific algorithm, or cryptographic library to be used by ransomware. 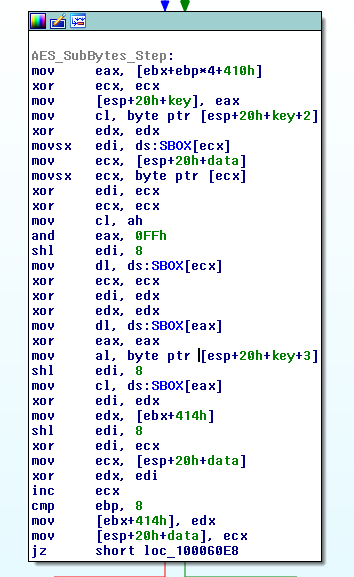 Actually, Wannacry implemented, or atleast, statically compiled its own AES-128-CBC function. PayBreak can be configured to hook arbitrary functions, including that custom AES function, and record the parameters, such as the key, passed to it. However, a simpler approach in this case was to hook the Windows secure pseudorandom number generator function, CryptGenRandom, which the ransomware (and most others) use to create new session keys per file, and save the output of the function calls. Recovering files is simply testing each of the recorded session keys with the encrypted files, until a successful decryption. Decrypting my file system of ~1000 files took 94 minutes. Thanks @jeffreycrowell for sharing a sample with me. The original post appeared on Eugene Kolodenker’s blog. Great example for reactive (rather than proactive) security thinking? I cannot make up my mind. Is it a bad idea despite (or because of) the potential success of the approach? Do we need a culture of solid quality rather than patch-work success. Good point. The approach definitely has tradeoffs. It was a fun research project to run though. Out of curiosity, how would this work? If the attacker’s using a public-private key pair with private key hosted on the server/with the attacker, then wouldn’t this be futile? It isn’t mentioned in this article if the PayBreak “decryption” process is intended towards symmetric key encryption. Nevermind. On a second read (AES-128-CBC), it’s all making sense! Great job!